I recently hosted a listening party for B-Real of Cypress Hill at my studio. We had a great turnout and so many industry friends stopped by to show their love! Kickin' it with Cecilia the Mamacita and B-Real. B-Real speaking about the album. My main man Chris Loos! series at Disney Concert Hall, January 18, 2014. Thanks to Sue Tsao for the video and making this happen! As some of you may know, I am a big supporter of the HeArt Project, an organization that connects professional artists with continuation high school students from around LA. I lead a 12 week workshop residency program every Spring where I work with about 15 young participants from the LA area to produce visual art. 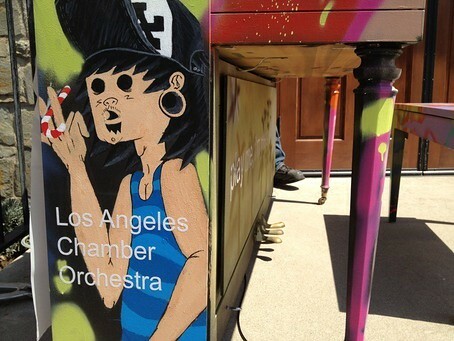 This year the HeArt Project teamed up with the Los Angeles Chamber Orchestra to produce an art piece on a stand up piano for a city wide project called "Play Me I'm Yours". 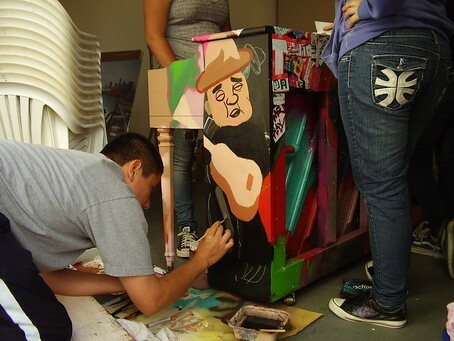 My students and I were given the honor to produce this piece of art on a piano (one of only 30 city wide) to represent the HeArt Project and Los Angeles in this global campaign bringing art and music to public spaces. 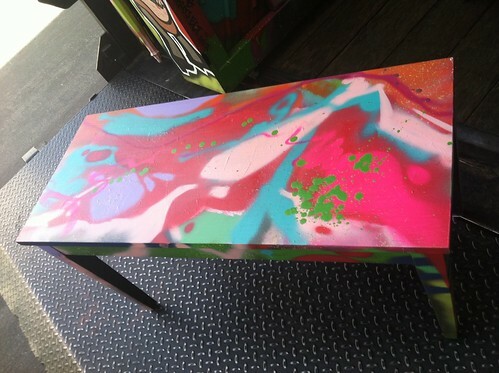 The piano we created was painted with acrylic, spray paint, and even stickers. The students put their own flair into it including 2 characters reflecting music and youth culture. 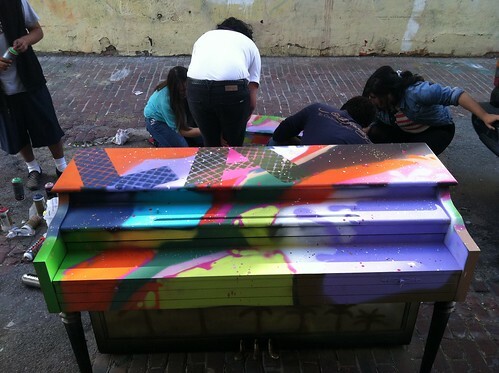 The majority of the piano was painted in a colorful mosaic of abstraction and color. 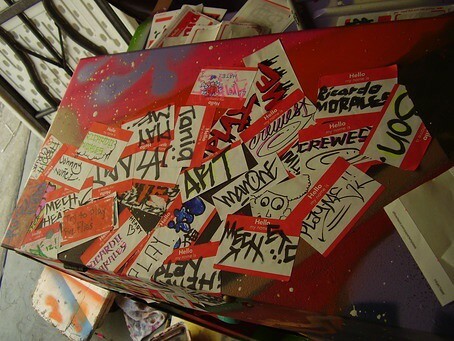 To show the youth's own take on ownership, "Hello My Name Is" stickers were adhered to the top of the piano reflecting names and words of their choosing. Our piano has been installed at the Pasadena Conservatory of Music at 100 North Hill Ave. Pasadena, CA 91106. The piano is accessible to the public for the next few weeks. Feel free to stop by and make some spontaneous music out in public! Tell your friends to go check them out!